Many people are interested in Facebook videos which cover various funny videos, tutorial videos, exercise videos and etc. Sometimes you may run into the problem of how to download a desired video from Facebook to your computer or mobile devices because Facebook doesn’t provide the direct download button. You may need a Facebook URL Video Downloader, and this article will introduce 3 methods to download Facebook video from URL. How to Download Facebook Videos by URL? Q: I want to save my favorite Facebook videos on my PC but I can’t download them from Facebook. Is there anybody can provide me a method to solve this problem? A: You can easily solve this problem because there are many choices for you to download Facebook video by URL. It doesn’t matter if you don’t know how to download your favorite Facebook URL videos. In this article, I will share you with three Facebook URL video downloaders to download your Facebook videos. 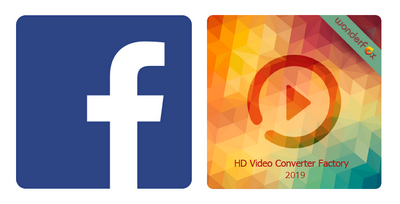 Free HD Video Converter Factory is a software that suits you to download Facebook videos by URL with fast speed. Besides, you can use Free HD Video Converter Factory to download videos from 300+ hot sites like YouTube, Dailymotion, Vimeo, and more. The methods mentioned in this article are provide for personal use only. We don’t support users to convert any copy-protected items and commercial activities without permission. 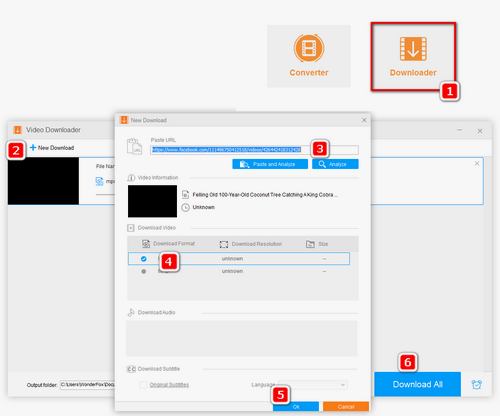 Free HD Video Converter Factory is a free video downloader which can help you download online videos from Facebook, YouTube and other 300+ popular sites by URL. It can also be used for convert video formats, cut video clips and rotate videos. Please free download URL Facebook video downloader on your Windows computer before start. Before start, please free downloadfree download URL Facebook video downloader on your Windows computer before start. Before you launch the Free HD Video Converter Factory, you have to copy the video URL from Facebook. Then click the ‘Download Video’ button and paste the video URL. For this step you have to click the ‘Analyze’ button and wait for a few seconds. After that, you can choose a suitable output format, including video resolution, video format and its size. Also you can reanalyze the link if you want to see more results. Choose the destination path for the Facebook video by opening the ‘Save to’ menu button. Finally, click the ‘Download’ button and the software will remind you when it finishes. When you download Facebook videos on your PC, you can also use Free HD Video Converter Factory to change its output format. 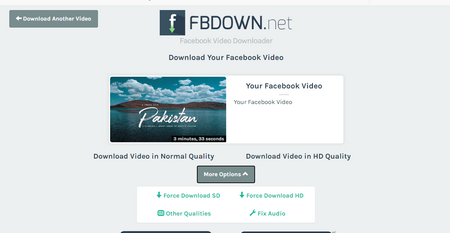 As its name shows, Facebook Video Downloader is an online video downloader for Facebook. You can download videos from Facebook by URL in this site without downloading any software. Now follow these steps to download you Facebook videos. Step 2: Paste the video URL on Facebook Video Downloader. Then click ‘DOWNLOAD’ button. It will run to another webpage. Step 3: The webpage will show you three choices. “Download in HD Quality”,” Download in Normal Quality” and “Convert to MP3”. Click one of them. Step 4: In the end, choose ‘Save File’ and click ‘OK’ button. Then it begins downloading videos for you. Here you may also use online downloader to download your Facebook URL videos. I personally recommend SaveAs.CO for you. You can download SD and HD videos on it easily. Now let’s find out how to use it. Step 2: Copy the video URL from Facebook. Then paste it on SaveAs.CO webpage. Then click ‘DOWNLOAD’ button. It will run to another page. Step 3: For this step, you have to choose download the video in SD or HD. Then click it. Step 4: Finally, choose ‘Save File’ and click ‘OK’ button. It will start to download the video. The detailed steps have been showed you above. Have you got it? You can choose one of them to download your Facebook videos. But you have to pay attention to the online downloaders, it may bring virus to your PC. Therefore, I strongly recommended Free HD Video Converter Factory because it’s safe and it can not only download videos from Facebook but also 300+ hot sites, such as YouTube, Ted, Vimeo and so on. 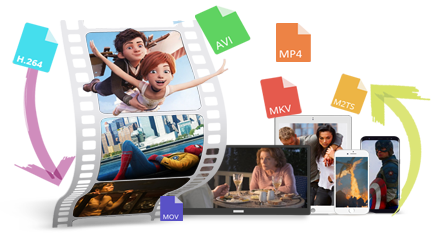 HD Video Converter Factory Pro is a professional video downloader, which enables you to download SD, HD, 1080P, 2K and even 4K quality videos from any site by URL. Also you can use it to edit your videos, like convert your video formats, enhance your video quality and reduce video size. Therefore, HD Video Converter Factory Pro is your best choice to download, upload and edit your videos. You must have a try!